Routes and roads make their way into and across the landscape, defining it as landscape and making it accessible for many kinds of uses and perceptions. Bringing together outstanding scholars from cultural history, geography, philosophy, and a host of other disciplines, this collection examines the complex entanglement between routes and landscapes. It traces the changing conceptions of the landscape from the Enlightenment to the present day, looking at how movement has been facilitated, imagined and represented and how such movement, in turn, has conditioned understandings of the landscape. A particular focus is on the modern transportation landscape as it came into being with the canal, the railway, and the automobile. These modes of transport have had a profound impact on the perception and conceptualization of the modern landscape, a relationship investigated in detail by authors such as Gernot BÃ¶hme, Sarah Bonnemaison, Tim Cresswell, Finola O'Kane, Charlotte Klonk, Peter Merriman, Christine Macy, David Nye, Vittoria Di Palma, Charles Withers, and Thomas Zeller. 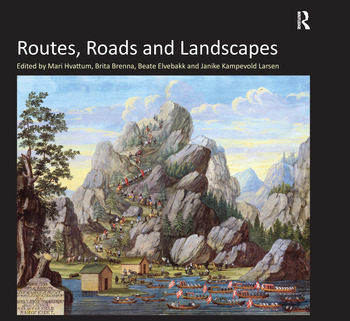 Contents: Introduction: routes, roads and landscapes, Mari Hvattum, Brita Brenna, Beate Elvebakk and Janike Kampevold Larsen; Section I Moving Through the Landscape: King of the road: describing Norwegian landscapes in the 18th century, Brita Brenna; Flow: rivers, roads, routes and cartographies of leisure, Vittoria di Palma; 'To lead the curious to points of view': the 18th-century design of Irish routes, roads and landscapes, Finola O'Kane; A road with a view: C.F. Vogt's painting of Krokkleiva, Torild Gjesvik; Landscape's imprint: on the physiognomy of plants around 1800, Charlotte Klonk; Travel, en route writing, and the problems of correspondence, Charles W.J. Withers. Section II The Route as Icon and Occurrence: Redfining the American sublime, from open road to interstate, David E. Nye; The man who loved views: C.A. Pihl and the making of the modern landscape, Mari Hvattum; Staging the driving experience: parkways in Germany and the United States, Thomas Zeller; The concept of flow in regional planning: Benton MacKaye's contribution to the Tennessee Valley Authority, Christine Macy and Sarah Bonnemaison; Aerocabs and skycar cities: utopian landscapes of mobility, Even Smith Wergeland. Section III Landscapes of Mobility: Towards a politics of mobility, Tim Cresswell; Curating views: the Norwegian tourist route project, Janike Kampevold Larsen; Stop, rest and digest: feeding people into nature, Lars Frers; Roadside aesthetics: guidelines from the Norwegian public roads administration, Beate Elvebakk; Enfolding and gathering the landscape: a geography of England's M1 corridor, Peter Merriman. Coda: Landscapes on the road, Gernot BÃ¶hme; Index.